I've been in Tennessee for the past few days. My grandmother has been sick, so I flew here on Saturday to see her and to help by cooking food and sharing the joy a toddler can bring to even the saddest of times. I don't often make it to Tennessee and it seems I am just now beginning to appreciate it. Perhaps it's because Riley is here, helping me to see things through toddler eyes. This trip has been better than I expected. When I bought my ticket on Friday for a flight that left on Saturday, I was preparing for a difficult week. My grandmother has been very sick and her condition was not promising. Thankfully, my amazing, strong, stubborn grandmother pulled through. She is being released tomorrow morning. I'm convinced that the apples my mom peeled and cooked with butter and brown sugar have something to do with that (no, not on the hospital menu). Isn't my mother beautiful? I watched her peel these apples like I have a hundred times before. But this time, as she sat by a window at my grandparents' house with the hazy Southern light shining on her, I wondered how I could bring more moments like this into my own life. Moments where Riley can watch me sit down with a bowl of apples, peeling the skin away and then transforming them into delicious fried apples or applesauce (that doesn't come from a jar). I'm hoping for more moments that are slower, quieter, less hectic, and less electronic (says the blogger). Anyway, I wanted to stop by and let everyone know that my blog posts will get back on track very soon. This week, I won't be around here much but I will make up for it later. I promise. 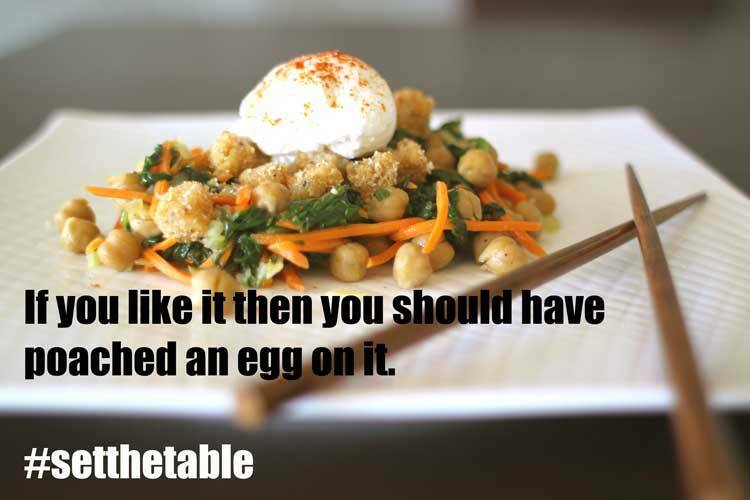 If you like it then you should have poached an egg on it.